Upon arrival at Putao airport you will be met by Putao trekking house's representative and transferred to your guest house. 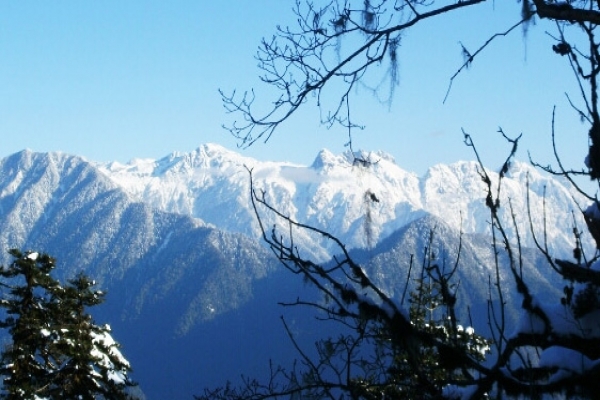 Putao, lies in a flat valley, jumping-off point for trekkers who want to explore the region’s deep forests, wildlife sanctuaries and snow-capped mountains etc. After a brief fresh up and light lunch take a walk around Putao for the orientation. Dinner and overnight at Putao trekking house. (L,D). 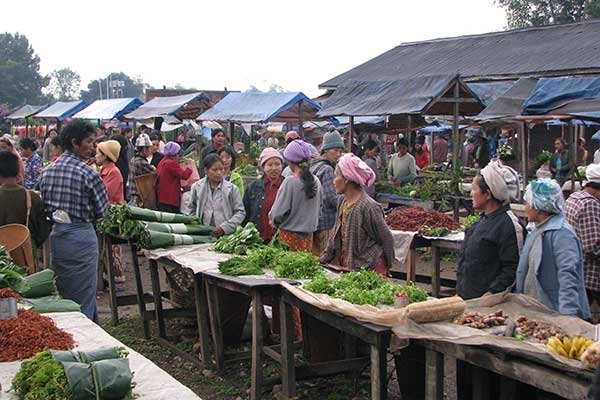 Breakfast and visit attractive Putao market often fills with colorful ethnic minorities. Depart by jeep or truck depending on the group size to upper Shangaung (17 km, approx one hour) on a rugged road. Your adventure starts as you get off the jeep and start trek to Wasandum (20 km, approx 6 hours) trek through Mt. 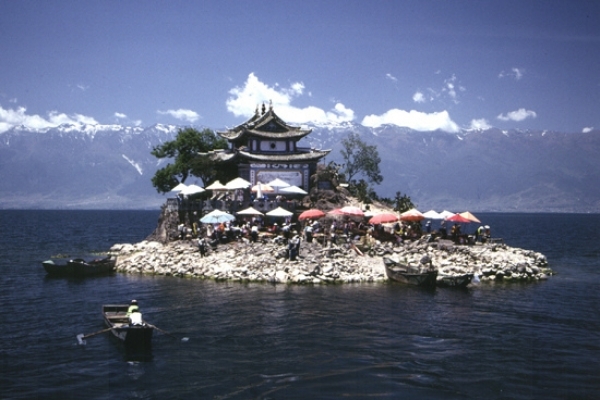 Shangaung at 4468 ft, 1362 meters. First 10 km will be straight up along the trail winding up to the top of Mt. Shangaung from then trail goes all the way down to Wasandum. This will be the testing journey as you have to ascend from 1060 meters up to 1362 meters and then descend back to 860 meters. Wasandum is a small Rawan village situates by Namro creek. Check in at your guest house and for those who wish to wash up may go to Namro creek to do so with crystal clean water. Dinner and overnight at Wasandum guest house in dormitory style. (B,L,D). Breakfast and leave the village for your today destination at Ziyadum, through relatively flat land with just few of ups and downs. At first cross Namro creek to Awadum (7.4 km, approx 3 hours). 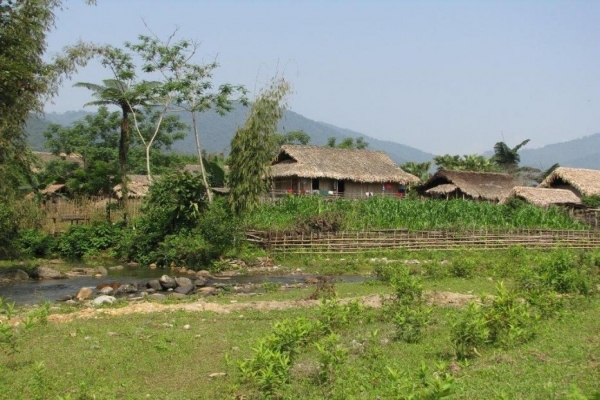 Awadum is mainly inhabited by Lisu and separate in to two by a large paddy field. 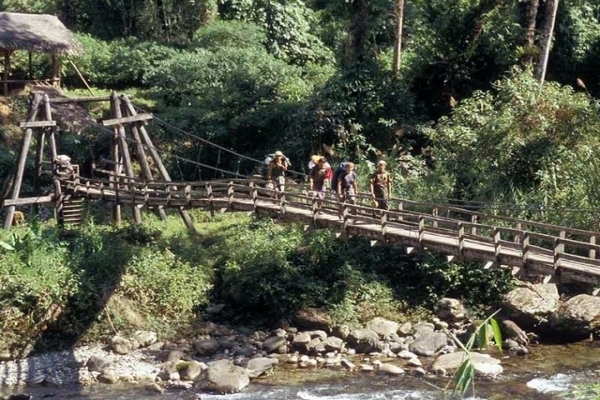 Here we cross a suspension bridge that spans Namlang creek to Kalang (4.8 km, approx one hour and thirty minute). Lunch stop and continue trek to Ziyadum (6.4 km, approx 2 hours) through deep evergreen forests. 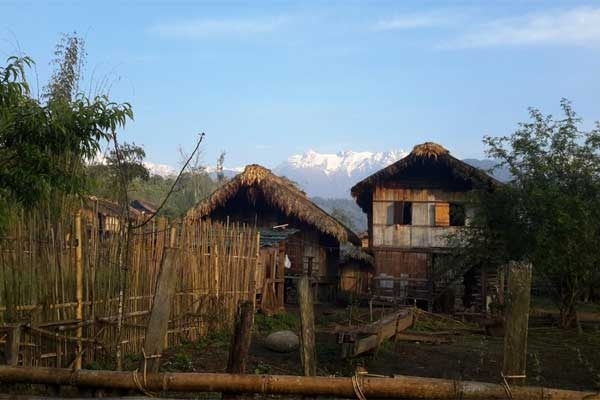 Ziyadum, situate at an altitude of 3440 ft, 1048 meters is the most northwestern and last frontier village in Putao region, mainly resident are Rawan tribe. 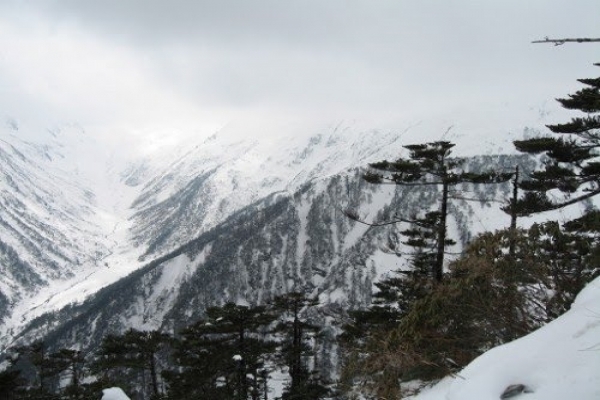 It is recommended to visit Ziya creek for a fantastic sunset view with a blazing snow Mountains in the west which spark in to steady flowing Ziya creek. Dinner and overnight at Ziyadum guest house in dormitory style. (B,L,D). Breakfast and set off for camp I through lush evergreen forests. After a couple of hours walking finally reach to Phangran creek which you will be following next several days until reach camp IV. At this point you will have to change our hiking boots in to sneakers as you will have to cross the creek every now and then. After about 5 long hours trek ups and downs through the bank, times and again cross the cold water creek you finally reach your today destination at camp I, locate at approx 4140 ft, 1260 meters above sea. Quick dry up and relax at camp fire while your porter and cook prepare for the night meal and accommodation. Enjoy your dinner and overnight at camp. (B,L,D). Enjoy morning beauty of the nature surrounding while your cook prepare breakfast. Set off for today destination camp II, situate at approx 4480 ft, 1366 meters. After some 6 hour trekking through the creek, ups and downs, hiking from the side of the river bank you finally arrive at camp II. As usual quick dry up and relax at camp fire while your team pitches the tents and cook prepare for the night meal. Enjoy dinner and overnight at camp. (B,L,D). Enjoy another beautiful morning of lush evergreen forest with a backdrop of high mountains in the far below the mist. Breakfast and set off for camp III, locate at 5330 ft, 1624 meters. The trek mostly up through the water, side to the valley, back down to the creek etc. Continue your today destination at Cave camp locates at 7400 ft, 2255 meters. 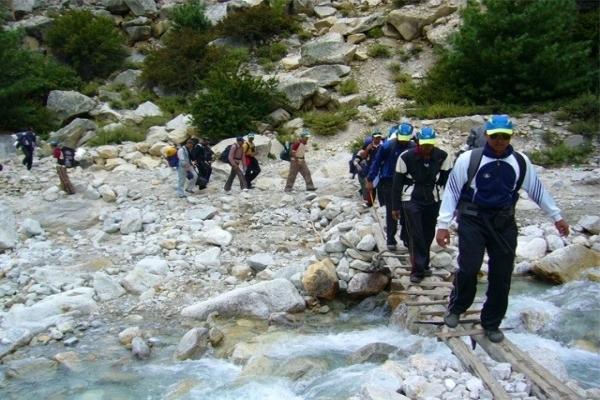 As you move on the trek become more and more difficult. After 7 hours challenging trek you will finally reach the camp. As usual while we quick dry up at camp fire, rest of the team prepare for the night meal and accommodation. (B,L,D). If you wake up early to witness the sun rising up from the horizon to make a beautiful painting having thick, dark jungle one side and blazing Snow Mountains on the other. Breakfast and set off for your today destination camp IV, locate at 9570 ft, 2917 meters. To day journey will be the most challenging one as the route going up steady and the water filled creek now become much smaller, some time disappear in to large boulders and occasional waterfalls. As you go higher the climb becomes deeper and strenuous. After a hard and long day on the rough terrain finally reach camp IV (located at the bottom of the snow capped mountains). Warm up with a camp fire as weather at this altitude is freezing cold. Night meal and overnight at camp. (B,L,D). Before start the trek you will have to prepare for the mountaineering as from now on you will be on the snowline for next a couple of days. Breakfast and start trek to the base camp. About two hours trek you reach on a small plateau at elevation 12000 ft, 3650 meters, from where the view is gorgeous with many glaciers around. At this point you will see the peak of Mt. Phangran Razi right ahead of you towering high in the horizon. This is the last spot to make your decision weather or not you should continue trek to the summit since the weather changes at this point is rapid and further journeys may or may not be feasible due to weather and snow condition. Should you decide go forward then have to form a smaller team with stronger members. Continue trek through the slopping down and then to steady up. 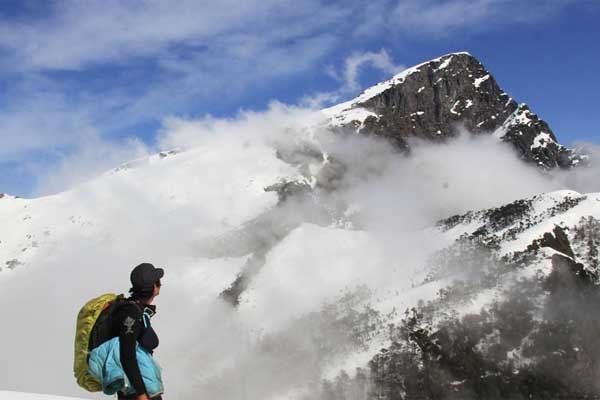 After a steady trek of 3 to 4 hours you will reach at base camp located at 12200 ft, 3720 meters. 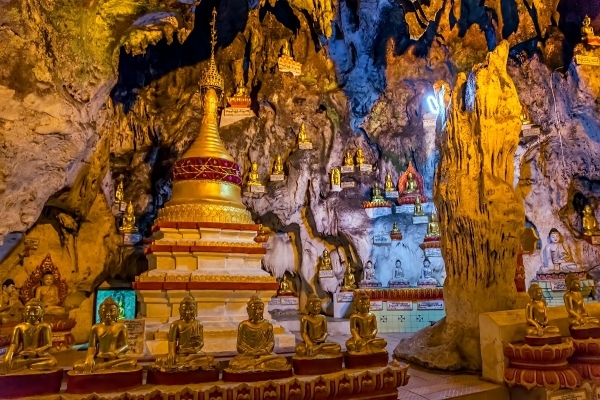 The so-called base camp has no facility for overnight or making fire but just a small stone cave with space large enough to pitch two medium sized tents. Light dinner and overnight at camp. (B,L,D). 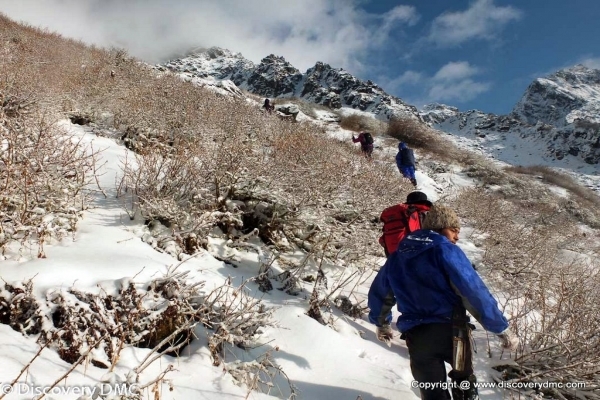 Try to make the summit at 14200 ft, 4328 meters at first day light to beat the weather change. The route will be steady up on a narrow shoulder of stone based peak. The gusty wind may make this short trek challenging as you will have to stay on relatively narrow cliff. If you are lucky you will reach to the summit by still early hour in the morning. Try to stay some time on the top, make record of the success ascend as not many others has ever scale this mountain. Start descend steady to the base camp and continue back to camp IV. Warm coffee and refreshment should await you as we reach the camp. A sumptuous dinner should plan along with celebrating bonfire. Overnight at camp (B,L,D). Bit farewell to mighty one and set off for camp II, passing by camp III. Return journey will be faster although by no mean easier having descended from 2900 to 1400 meters. 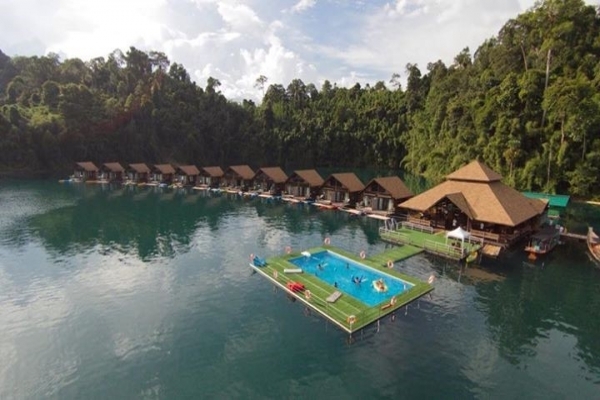 With much of ups and down and un-countable water cross you finally reach to your today destination at camp II. Dinner and overnight at camp. (B,L,D).